A forum to share your love of Millsberry. 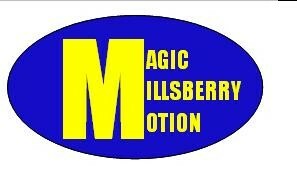 Welcome to Magic Millsberry Motion! We hope you join us! Our forum is a good, safe, place to meet other Millsberry fans and share hints on Millsberry! This forum is child friendly and we will not reveal any of your personal information. This forum is made by kids, for kids! So don't sit there staring at the register button, click on it! Every member counts into shaping this forum into what it could become one day. Which of the 3 sites listed do you prefer? » klq123 is a mod! » HAPPY BIRTHDAY, gummygoeysticky ! Companies: Forumotion.com Hitskin.com millsberryforum.net People:My father, who is a computer engineer and supported me throughout the time I created my forum Lisa, the pre- admin of millsberryforum.net who inspired me to create this forum. Here is the complete solution in video format. i've seen that video like 10X! it helped me and it should help u too!! !